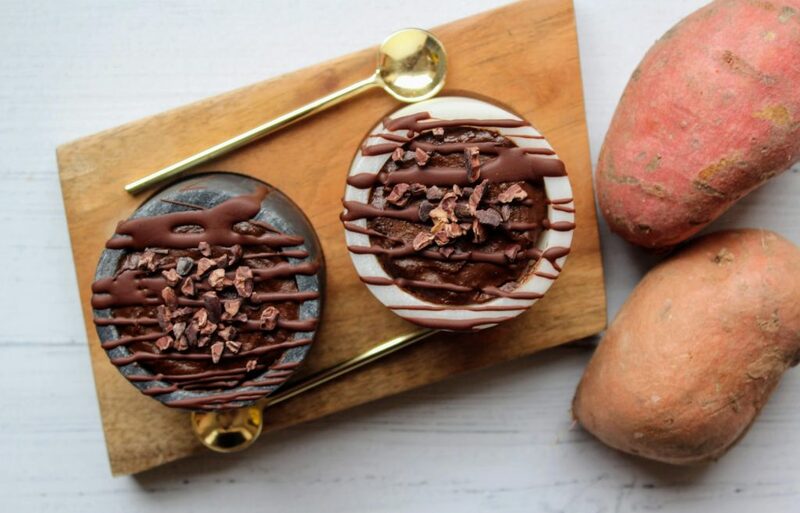 Following on from my first post about it being International Sweet Potato Week from 4th – 18th April, it’s certainly fair to say that sweet potatoes are certainly a hugely versatile ingredient that can be used in many sweet and savoury dishes, including dessert! 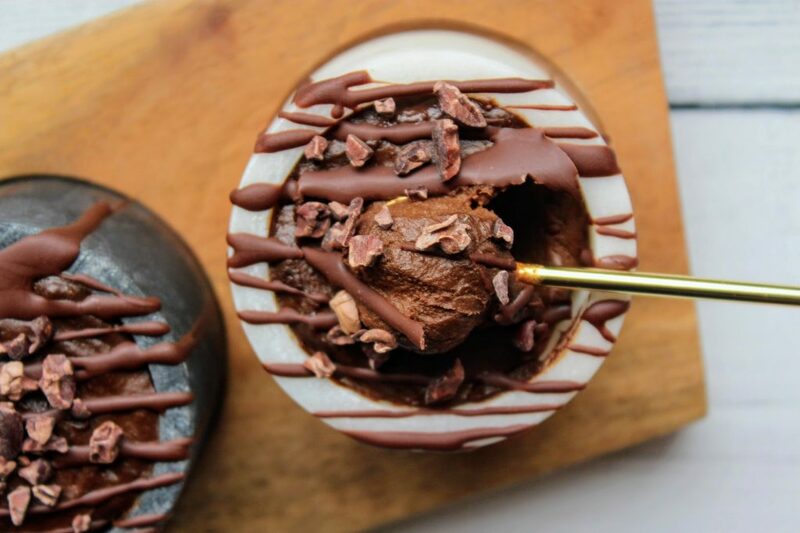 These pots are decadent, chocolatey and secretly healthy thanks to blending up cooked sweet potato to create a thick but silky texture, perfect for these little desserts. You could add any kind of topping – granola, freeze-dried berries, extra chocolate chunks, toasted nuts… Whatever you fancy. 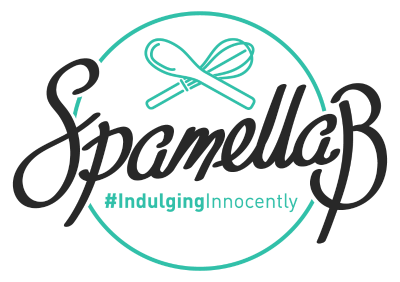 Or add orange zest, salted caramel extract or even use hazelnut butter in the sweet potato mixture – that’s the beauty of this recipe, customise it to your own personal taste! Peel and chop the sweet potato and cook until soft then drain and leave to cool. Add to a blender or food processor (I used my Ninja Kitchen one) with the other ingredients (other than to decorate) and blend well until smooth and quite thick. Scrape between two individual pots or ramekins and chill for at least 1 hour. 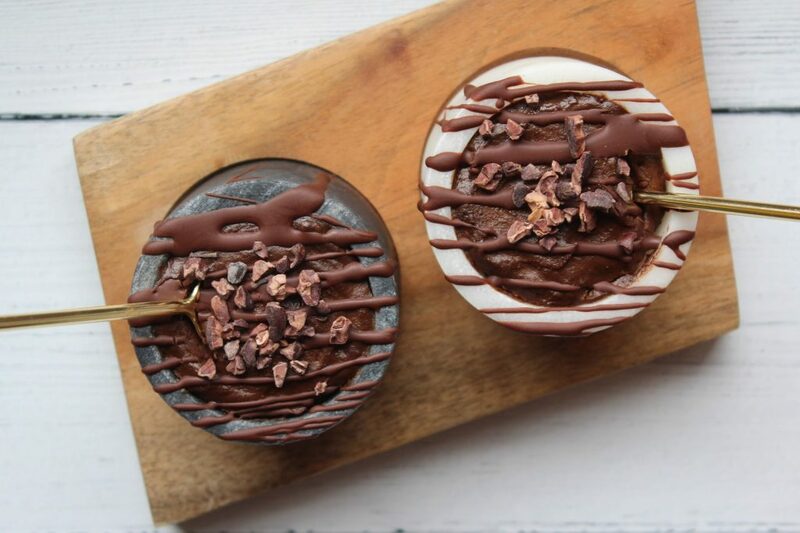 Drizzle over melted chocolate, sprinkle with cacao nibs and enjoy!